Hello and welcome back. 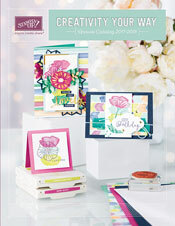 Today our Can You Case It site features Designers Choice projects, meaning we can make whatever we want! So you are sure to see lots of variety in this week's projects. I chose to play again with the Thankful Forest Friends Clear-Mount Stamp Set. I can't get enough of those cute critters! This time I stamped them, and cut them out using the scan and cut feature of my Silhouette Cameo! It took a little while to set up the first time, but the results were great. I got a nice close trim to my stamped critters. I used two different embossing folders to make my scene: the trees are embossed Very Vanilla Cardstock using the Woodland Textured Impressions Embossing Folder and the hill is embossed Old Olive Cardstock using the Woodgrain Textured Impressions Embossing Folder. I love how this turned out! The texture really adds to the scene without overpowering it. I also highlighted the tree trunks with Sahara Sand ink using a sponge dauber. The patterned paper strip on the right is from the Into The Woods Designer Series Paper pack, that I sponged with additional Old Olive Classic Ink. This was a tip that they showed us at Convention, to color the white background of the paper. I love the way these patterns look when they are sponged! The greeting is from the Cupcake Party Clear-Mount Stamp Set. I stamped it in our new Classic Basic Black ink onto the Kraft Cardstock, and stamped the Hardwood Clear-Mount Stamp Set in Versamark ink. This was punched out with the Washi Label Punch and set atop of a piece of Sahara Sand Cardstock also stamped in Versamark Ink with the Hardwood stamp. To add to the dimension of the project, I mounted the sign portion on Stampin' Dimensionals, added Stampin' Dimensionals to the fox and added two layers of dimensionals to the rabbit. The other colors of ink I stamped for the animals were Early Espresso, Tangelo Twist and Sahara Sand. I even decorated the inside of the card! The greeting is from the Big News Photopolymer Clear-Mount Stamp Set, and the little branch was colored with markers and then stamped. 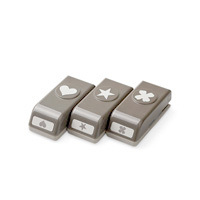 It's from the Thankful Forest Friends Clear-Mount Stamp Set. Well, that is all for today. I hope you stop by Can You Case It, and share you own unique project with us! Thanks for stopping by. Hello and welcome back! 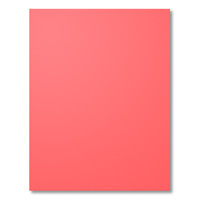 I'm here today with a color challenge from Can You Case It! This was a color challenge using any three shades of blue with neutrals. I used Soft Sky, Pool Party and Lost Lagoon with Sahara Sand, Crumb Cake, Soft Suede and Early espresso. I'm still having fun creating with this Thankful Forest Friends stamp set. The little animals are so cute! I colored just the word "thanks" in the two darker shades of brown, and left of the rest of the greeting off, finishing it off with some brown sewing thread. The top stamped branch was colored with markers, and I highlighted the acorns and some of the leaves with Crystal Effects. I also use a wood acorn accent from the Into To The Woods Elements. For the "ground" that the bear is standing on, I used a piece from the Sleigh Ride Edgelits Die, and trimmed off the tree section. 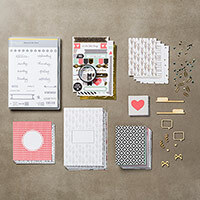 Also, the greeting is punched out with the Washi Label Punch and popped up with Stampin' Dimensionals. Well, that's all for today. Please join us at Can You Case It with your own colorful creation! Thanks for stopping by. Hello and welcome back! Today I'm participating in the One Stamp At a Time Blog Hop. We have a large group of stampers who are all sharing a card and another project. This month the theme was Designer's Choice, so we could make whatever type of project we wanted. I'm sure there will be a great variety of projects that I can't wait to see! I decided to play around with some new products from the Stampin' Up Holiday Catalog, the Into The Woods suite of products including a stamp set, patterned paper and wooden elements. I made a thank you card and tag. The coordinating colors are Daffodil Delight, Whisper White, Soft Suede, Early Espresso, Tangelo Twist, Old Olive, Mossy Meadow and Rich Razzleberry. I sponged one of the patterned papers with additional Rich Razzleberry ink to darken it up a bit. The circle of Old Olive Cardstock was bent with a bone folder until I could peal it into two layers. I used them both with the rough side it. It sort of looks like the texture of suede. I also roughed up a piece of Tangelo Twist retired ribbon, and added some linen thread. The greeting was colored with markers before stamping to get the multi-colored effect. The little fox was cut out by hand, and set atop a little green hill with a wood leaf accent. The tag top was punched with the Ornate Tag Topper Punch out of Thick Whisper White Cardstock. I hand cut the flower cluster out of one of the patterned papers, and adhered it over a circle of Daffodil Delight Cardstock. The bear was stamped and hand trimmed out as well. The greeting was colored with markers, and stamped directly onto the tag base. I finished it with some retired Blackberry Bliss ribbon tied with Whisper White Baker's Twine. Well, that's all for today. To get to the next stop on the blog hop, my super-talented friend Holly, click the button below. Or, you can follow along on the list of all the participants at the bottom of this post. Thanks for stopping by! Marisa - http://dzinesbymeg.typepad.com/dzines_by_meg/2015/09/osat-blog-hop-designers-choice-in-september.html << That's me!! Hello and welcome back! Today I'm back with the next challenge over at Can You Case It. This is a color challenge using shades of yellow, blue and brown. I've been making birthday cards left and right, which is good because they are the main type of card that I need to send out! And look, I might have used my one of my favorite stamp sets...again. 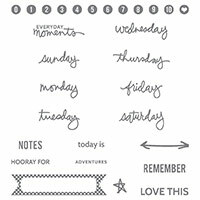 It's the Silhouettes & Script Clear Mount Stamp Set from Stampin' Up. I sponged ink through a striped mask for the yellow stripe layer. Then I added a white tag shaped with the Scalloped Tag Topper Punch, and finished with a scrap of brown ribbon from my stash. I punched a couple of circles from last year's Sale-a-bration patterned paper, and layered them under the birthday hat and greeting. I finished the card off with some brown sewing thread and gold sequins as final embellishments. 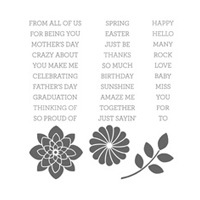 The hat and greeting are also popped up with Stampin' Dimensionals. Well, that's all for today. I hope you'll join us at Can You Case It this week and share your own colorful creation! Thanks for stopping by. Hello and welcome back! 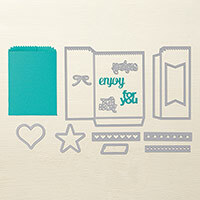 I'm just popping in tonight to share a couple of Project Life by Stampin' Up! scrapbook pages that I created for the month of May 2015. I'm still working on finishing the rest of them, but wanted to share the first two that were complete with journaling and embelllishments. 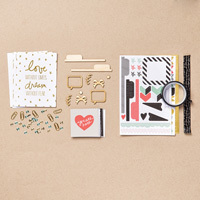 I'm using the Moments Like These Project Life Card Collection and the Moments Like These Project Life Accessory Pack for this month's pages. 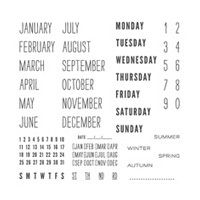 I also used the Project Life Day To Day Photopolymer Stamp Set. The quote card I made myself using some watercolor digital brushes and a digital font. I added some handwritten journaling to complete the layouts, and a row of die cut hearts over a strip of gold foil paper. Well, that is all for today. I'll have a card to share tomorrow, and some more Project Life layouts soon. Thanks for stopping by! Hello, and welcome back! I'm here with a birthday card for one of my favorite challenge blogs, TGIF Challenges. They have a remix challenge once a month, and the idea is to take two of the challenges from that month, and mix them together. I used their color combo and sketch challenge from this month. And, here is my card! I've been wanting to play around with some shaker cards and needed a birthday card for a friend. So, I made a balloon shaker using the Balloon Framelits Dies with a circle die to cut out the center of the balloon. I made the layers to give the balloon depth using three Vanilla Coasterboard cut pieces glued together. The balloon outline is out of Basic Gray Cardstock. I used a retired mask to sponge the Daffodil Delight rays onto Thick Whisper White Cardstock. I used the Celebrate Today Photopolymer Stamp Set to stamp the bottom layer of the balloon, which is also stamped around the edges of the Pool Party card base, and to stamp the greeting with. The balloon is filled with some dark gray sequins (leftover from a Paper Pumpkin Kit), some aqua fine glitter and yellow chunky glitter. The balloon is also tied with a piece of Whisper White Baker's Twine. 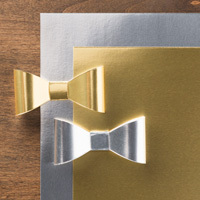 The greeting is stamped onto Vellum Cardstock, and hand cut into a banner. I even decorated the inside of the card! I think my friend will love this card. Well, that's all for today! If you have some extra time, go check out the my card and vote for me as a finalist in the TGIF Challenges Throwdown Challenge! Thanks for stopping by.